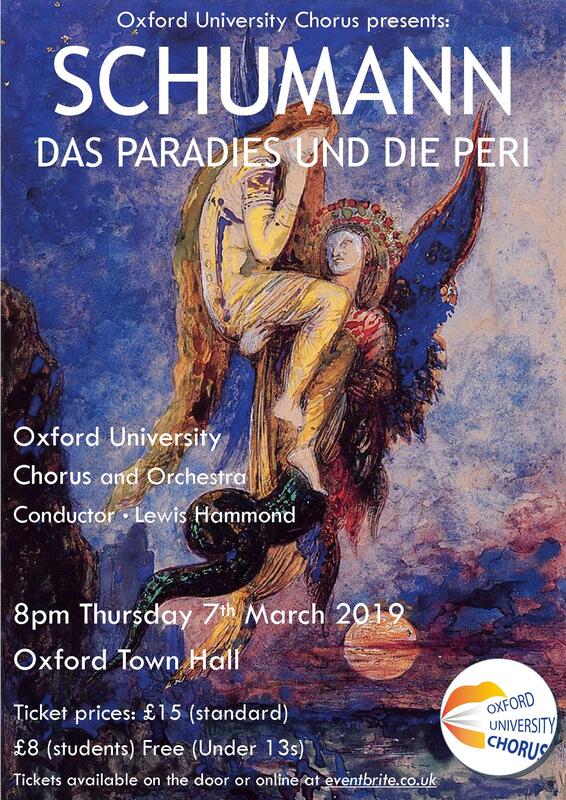 Oxford University Chorus presents ‘Das Paradies und die Peri’ on Thursday 7th March 2019 in Oxford Town. The Oxford University Chorus and orchestra perform Robert Schumann’s epic oratorio ‘Das Paradies und die Peri’ (Paradise and the Peri) based on Thomas Moore’s ‘Lalla-Rookh’. Join us for a journey through Persian mythology, for a tale of redemption which follows the plight of the banished Peri trying to regain entrance to Paradise.